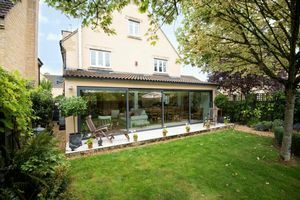 An impressive extended family home offering sumptuous accommodation throughout, with a beautifully designed kitchen/dining/family room with floor to ceiling full width sliding doors, underfloor heating and 'Morsø’ wood burning stove. 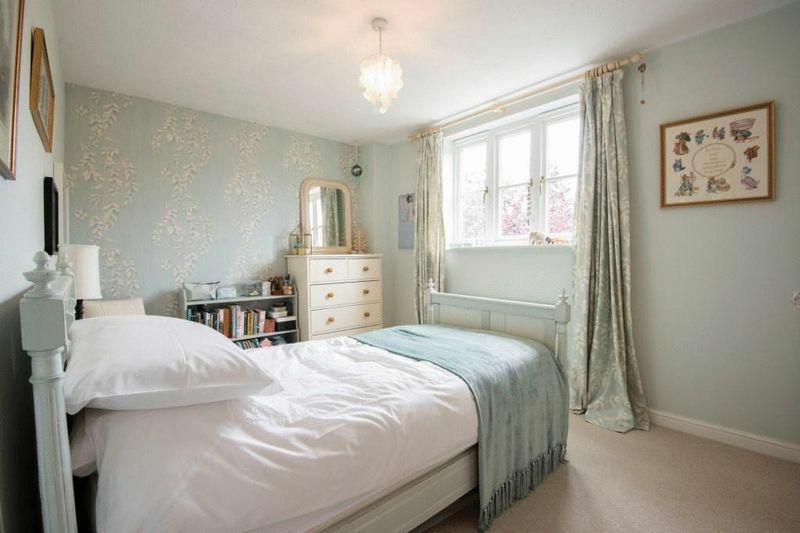 This stunning home really is perfect for the growing family as it offers spacious bedrooms, a master suite taking the whole of the top floor, guest bedroom with en suite and plenty more. 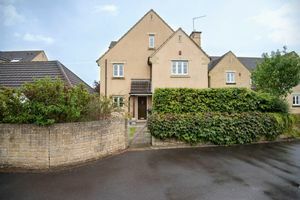 On a no-through road the property is situated on a small select development in the highly sought after village of Yatton Keynell which has many amenities and a strong community spirit. 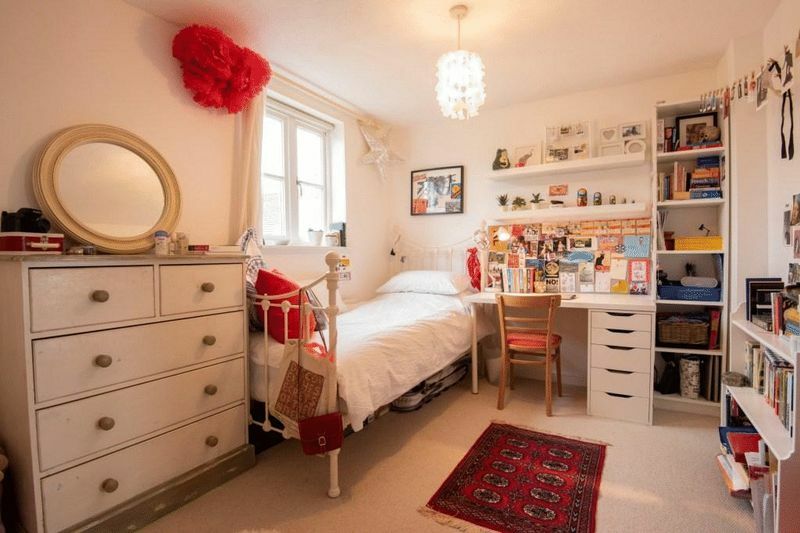 Upon entering the hallway, there is a boot room which provides plenty of space for shoes and coats although formerly this was a study, so could easily be changed back to its original use without any cost. 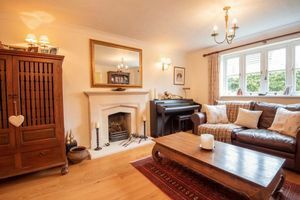 There is a WC, door to the kitchen and a sitting room which has a Bath stone surround with open fire and double doors leading through to the kitchen/dining/family room. 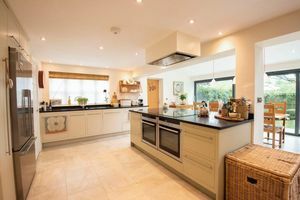 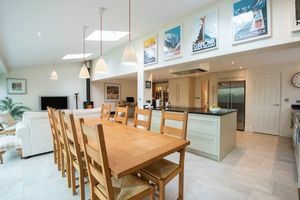 This special room really does have the wow factor and is not only the perfect place for a great party, but is the absolute hub of the home for the family, as it has a central island which faces the dining area with plenty of storage, granite work tops, two electric ovens, five ring induction hob and extractor. 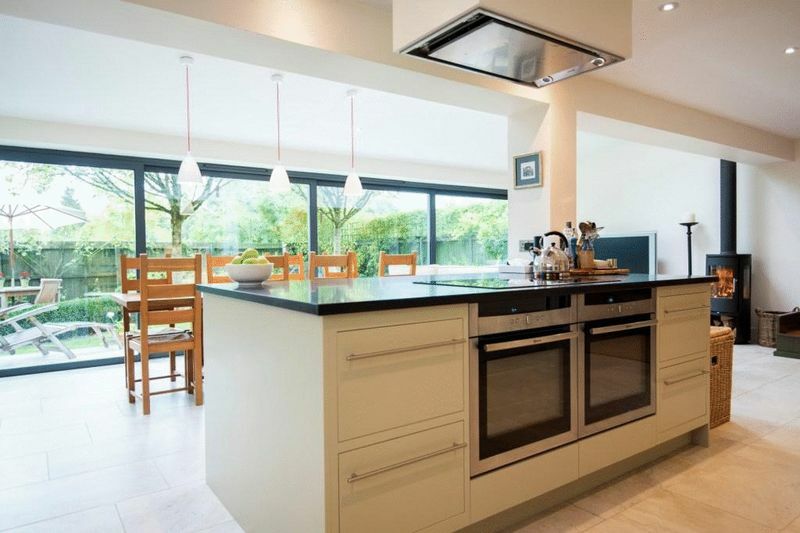 There is an integrated dishwasher and sink with mixer tap and space for an American style fridge/freezer. 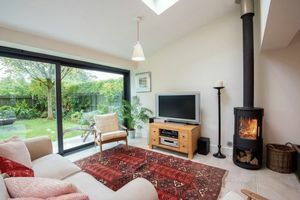 Velux windows stream light in over the dining area and seating area with its stylish Scandinavian wood burner. 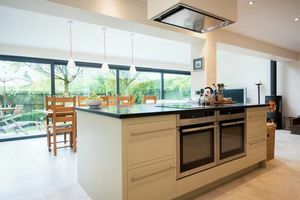 A larder cupboard can be found to the rear of the kitchen so there really is no shortage of storage. 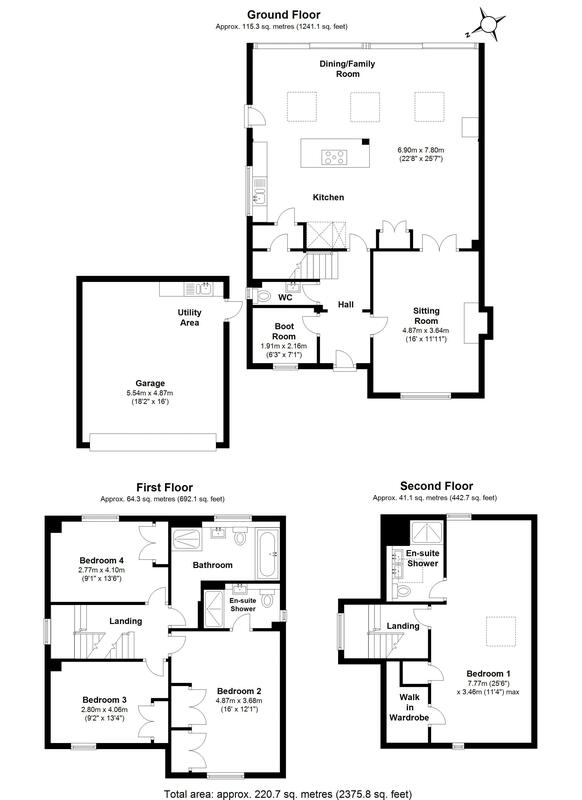 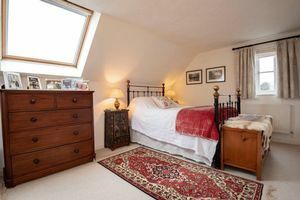 On the first floor are three double bedrooms, all with built in wardrobes and one with en suite. 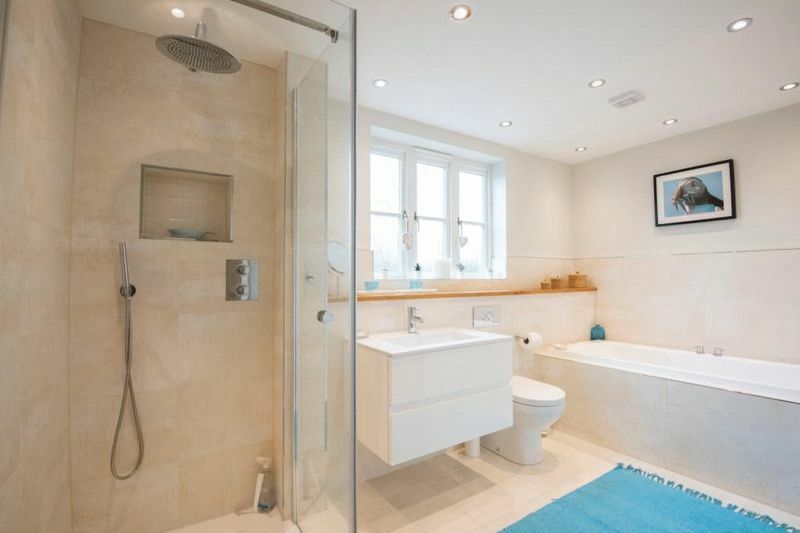 Both bathroom and en suite have been stylishly refitted; the bathroom having both a shower cubicle and double ended bath and vanity unit with inset wash hand basin. 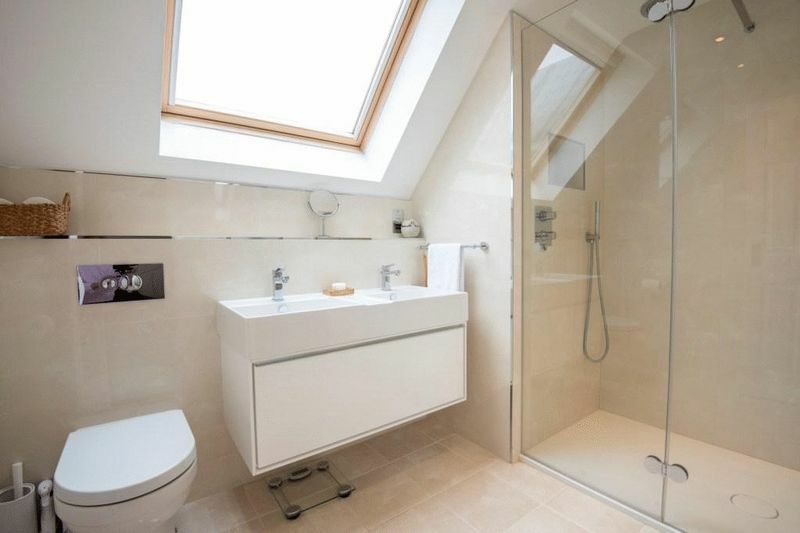 The double aspect 25 ft master suite is impressive with its walk in wardrobe, refitted en suite shower room and Velux window. 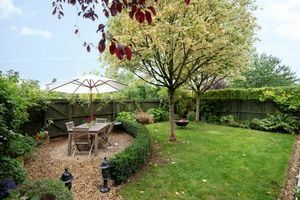 The private southeast-facing garden has been landscaped with relatively easy maintenance in mind and is perfect for anyone with a busy life. There is a lawned area with gravelled patio designed to take a table for enjoying al fresco dining in the summer months. 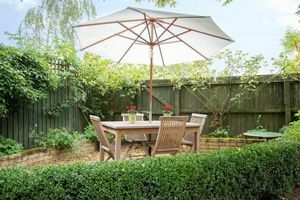 Well planted borders, which are stocked with a mixture of shrubs and ornamental grasses, and a box hedge give the garden structure and create an environment to relax and enjoy. 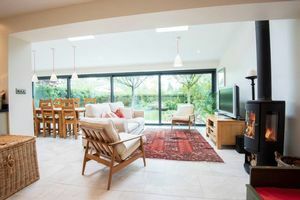 Side access from the kitchen leads around to the double garage, which provides further storage and is where a utility area is located. 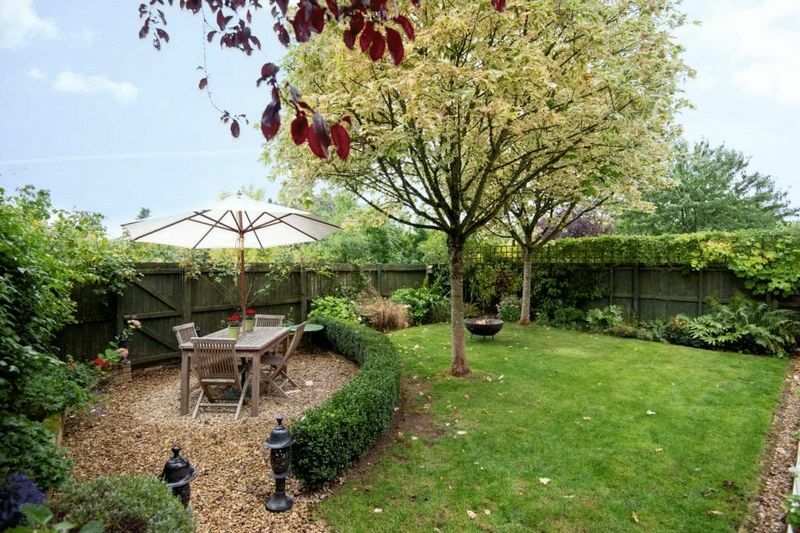 Gated side access leads around to the front garden and driveway with ample parking. 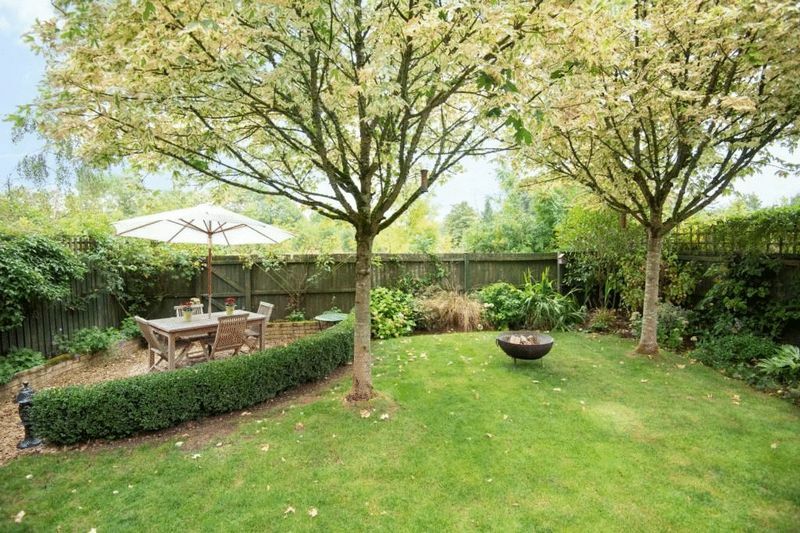 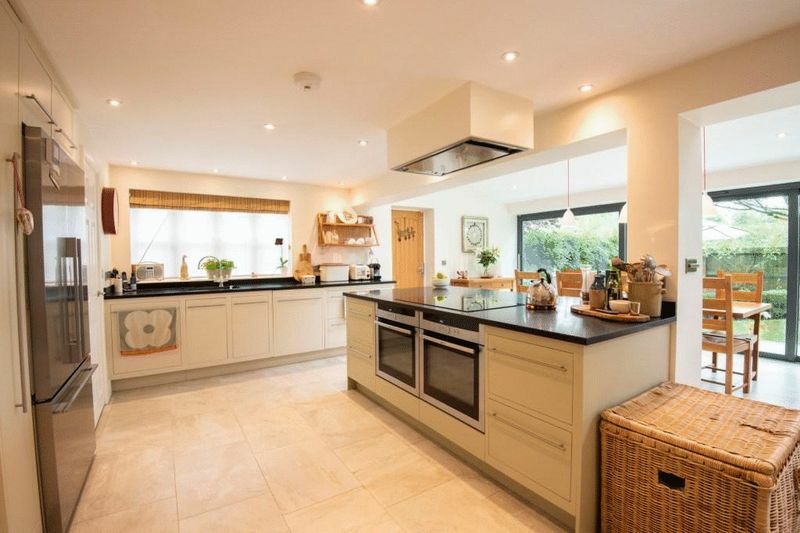 Yatton Keynell is a sought-after location on the edge of the Cotswolds. 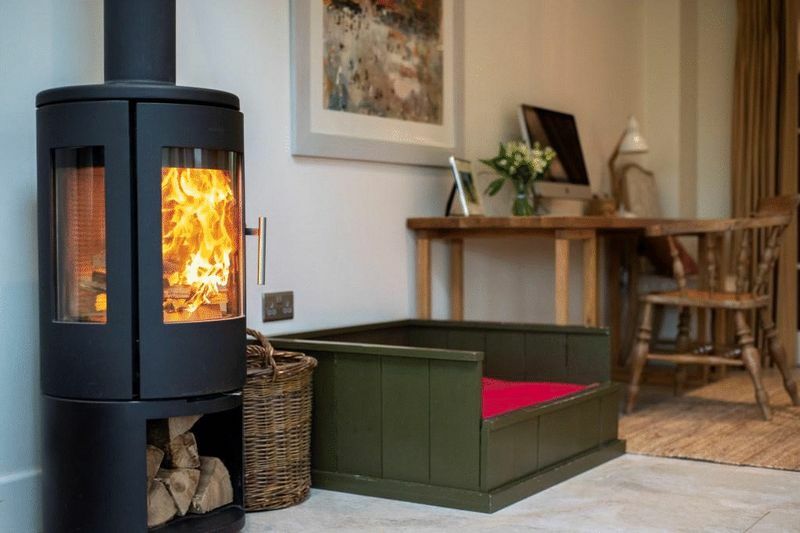 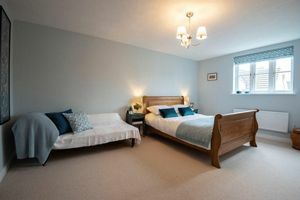 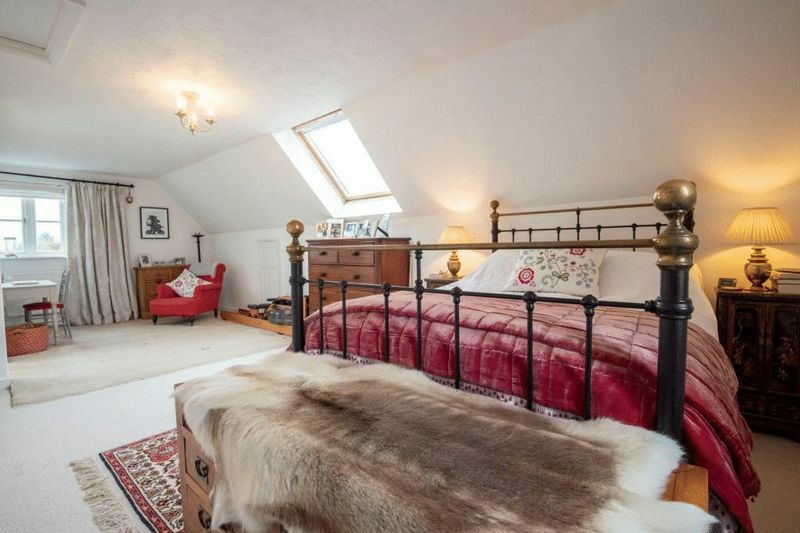 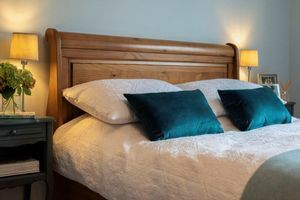 This popular village is proud to boast a good selection of amenities including By Brook Valley Church of England Primary School, a village store and post office, a doctor's surgery with dispensary plus The Bell Inn. Nearby is the famous quintessential Cotswold village of Castle Combe known for its traditional unspoilt character and fine hotel and Golf Club. There is excellent access to the M4 via Junction 17 and 18 offering easy access to Bristol or London. Bath is approximately 14 miles and Chippenham (5 miles) has a mainline train station (London Paddington 75 minutes).